William McGuinn is our Latest Featured Speaker! 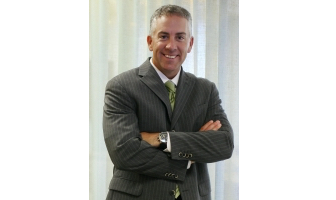 Our latest featured speaker is William McGuinn from Sugar Felsenthal Grais & Helsinger LLP! Bill will be speaking at our upcoming seminar, An Introduction to Commercial Real Estate Transactions: The Big Four in Chicago on September 14th! We are excited to have him join us, and we know our attendees will benefit from the knowledge he’ll share during his presentation. Bill concentrates his practice in commercial real estate, subsidized residential housing and strategic planning for entrepreneurs. He represents real estate developers, commercial landlords, tenants and various closely-held businesses in complex transactions, locally and throughout the country. Bill’s real estate practice extends to the acquisition, development, sale, leasing and financing of commercial, office, residential and retail properties. In his affordable housing practice, Bill has represented owners and developers of thousands of housing units in numerous states with multi-layered financing including taxable and tax exempt bonds, low income housing tax credits, HOPE VI, Community Development Block Grants, Neighborhood Stabilization Program funds, Tax Credit Assistance Program and Tax Credit Exchange Program. Bill has also represented developers of conventionally financed projects, both residential and commercial. He also guides buyers and sellers, landlords and tenants through all aspects of their respective transactions. Aside from real estate matters, Bill has worked with numerous closely held businesses on a variety of matters including representing business in obtaining credit facilities, structuring start-up organizations and the purchase and sale of a number of business entities. Bill is an avid sailor and participates annually in the Chicago Yacht Club Race to Mackinac. Bill has also competed in the Transpac, racing from Long Beach, California to Honolulu, Hawaii. Sidney Tribe is our Latest Featured Speaker!